I am wading in mud and feel like I am sucked into the swamp every step I take. I want to do a project in Africa (Kenya) where I want to collect data like soil humidity, temperature and air humidity. LoRa seems the solution since I do not have electricity where I need to measure and the distances can be large. Price is obviously an issue. I am used to work with Arduino’s and ESP32 boards and use them in my house projects and on my farm for all sort of things. I am not a trained programmer but can do enough to work my way through sample sketches and adapt them for my specific purposes. I use the Arduino IDE but have also installed PlatformIO / Atom since this appearently is a better environment, I am learning how to use it. This runs on my Ubuntu workstation. I bought a Dragino LG02 gateway and a couple of LoRA32U4II boards as well as two TTGO Lora32 boards with Oled screen. I also bought a LSN50 node since it looked sturdy and I wanted to try an out of the box solution. The gateway is up and running and when I power up the LSN50 node I see connections coming in on the LG02 but no sensor data (I hooked up a temp/humidity sensor as per the documentation) When I connect the node to my PC with my UART to TTL adapter and can see that the node is cycling through a number of frequencies but can not issue AT commands as per the manual; my Dutch supplier sent me straight to the factory helpdesk, but they are not helping. I can not get the LoRa32u4II boards to work; have soldered on the wire to pin 6 etc. I have succesfully fried one by reversing VCC/GND. This was a lesson to stop trying after a certain amount of hours. As you may understand I am getting pretty frustrated and hope that someone can point me in the right direction. you ask many things , did you maybe search this forum, there are many specialised topics. 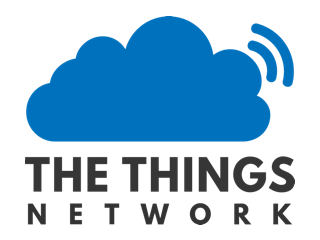 and we don’t support lora/lora communication, questions must be related to the thing network. what are your questions, I don’t see code, links, console screenshots… nothing. What I want is to set up a large number of nodes measuring at regular intervals and send them via the gateway to .e.g. TTN where I can transfer them through MQTT, HTTP of SQL to my computer to analyse them. That however is beyond the scope of this forum I think. First I need to get a number of nodes working and test them in the field. Of course I have been looking for answers here and other fora, but for the first time since I am tinkering with dev boards nothing seems to work properly, hence the frustration. that’s not the problem, what is is that we don’t understand all your questions. find a solution, one by one. you realise that its not the best start for a lorawan IOT project because its not a ‘real’ gateway. first advise is… buy / build a 8 channel gateway, saves you many many hours in the end. there is a lot of code to be found for your TTGO’s (normal lorawan communication) and that works with TTN. I didn’t say that, but it’s a 2 channel gateway ‘bridge’ and for a starter difficult to use. then you can find sketches for your TTGO and find a lot of support here to transmit temps, store data ect. Frustrating. I will look around, but can not see where the difficulty in the LG02 is except for its limitations on channels. Has anyone had any experience with the Dragino LG02 Gateway? It looks like a fair improvement over the LG01 as it is now dual channel. I’m interested in the use of the gateway over 3G and 4G and whether anyone has tried different configurations (MQTT mode etc) Thanks!